Alex Steele, an associate at Girardi | Keese, practices in a variety of areas. Alex received her B.A. in film and television production from the University of Southern California and subsequently worked in the film industry for a number of years before attending law school at Loyola. 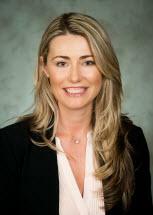 While at Loyola, Alex focused on developing skills that would serve her goal of becoming a plaintiff's trial attorney by working as a Judicial Extern for Judge Klausner in the United States District Court, serving as a certified law clerk for the Los Angeles District Attorney's office, and clerking for Girardi | Keese.